De La head into their first home game of 2017 ready to go after some productive work around the Easter break. Head Coach Paul Satterley says his side is looking forward to the challenge of St Kevins after the Dees showed some promising signs in their first round loss. “They’re still quite buoyant after round one, they were all disappointed – particularly with the last quarter” Satterley said. “We just felt we let ourselves down at the end”. There’s no doubt that the Skobber’s big name recruiting (on and off the field) is the talk of the VAFA. New Coach Shannon Grant has an array of former AFL talent at his disposal, but Satterley isn’t getting distracted by the hype. Amateur footy lends itself to a lot of preseason list turnover and 2017 has been no exception for the Dees. Satterley is enthusiastic about the opportunities that change brings. “There’s been a changing of the guard,” he says. “We’re absolutely trying to win a premiership, but at the same time on the way to doing that we’re trying to develop young guys, to give new players an opportunity, to give players who do well in the reserves a chance… we’re trying to cover off a million things but ultimately we want to get the best 22 out on the park each week. To help Satterley with that, over the summer the club refreshed its coaching setup. 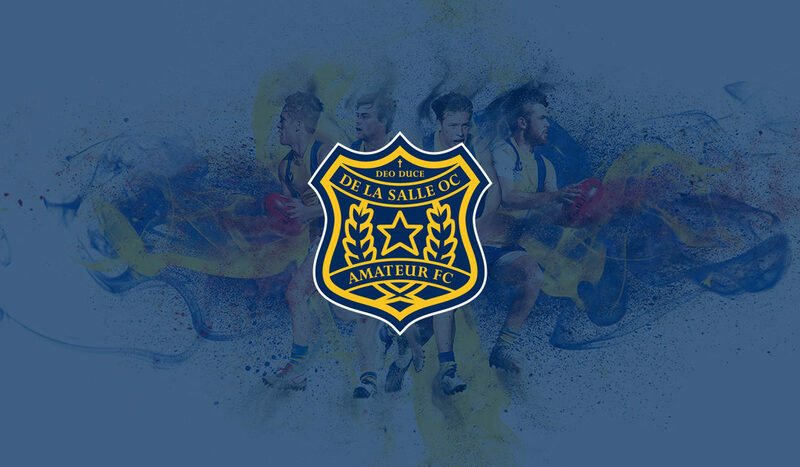 De La Salle take to the field against St Kevins at 2pm this Saturday 22 April.